A customer tries out an iPad 2 shortly after it went on sale in New York. 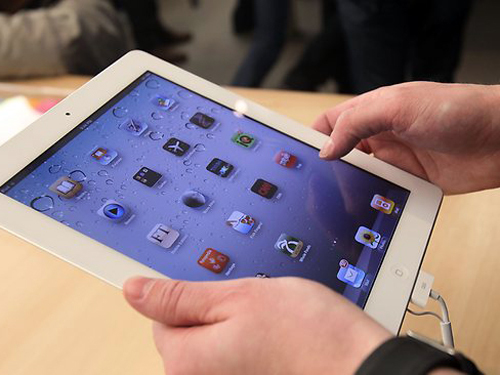 iPad 2 took the world by storm when the tablets were sold in mid-March, 2011. Seen as an improvement from its predecessor, iPad 2 was one of the most talked about and sought-after gizmos in 2011, making the tablet the 10th fastest rising search on Google. Searches for iPad 2 hit their peak in late Feb, two weeks before it was on the counter.